In the past, Afghan-American novelist Khaled Hosseini’s account of Kabul as having nights with a shimmering moon and days with a thousand splendid suns was accurate. These days, however, Afghanistan’s capital is more the city of a “thousand tragedies per square mile.” It is a place of vicious politics where citizens question why they themselves are the ones paying the price. It was therefore not a midnight party that led people to pour into streets of Kabul two Sundays ago. For the citizens, who live their days and nights under the shadow of death and terror, gathering in a large crowd would be the last thing to do. On November 11, it was the ongoing destruction that made the residents come out of their houses. At midnight, dozens of men and women had gathered around the presidential palace, protesting and demanding President Mohammad Ashraf Ghani to order an air strike against the Taliban who had raided their villages in the Jaghuri, Malistan, and Uruzgani-Khas districts of central Afghanistan. Yet, at the climax of recent fear, Donald J. Trump’s administration has announced a plan to directly sit in peace talks with the Taliban. In Afghan politics, there are many antagonistic actors – liberal, illiberal, national, regional, and international – defenseless locals, and brutal non-state militants who since 2001 have all been trying to occupy the same space. This adversarial interaction of various groups and mostly incompatible, competing political actors, has complicated the Afghan conflict. The cost of this interaction has been huge, as about 104,000 people have been killed since 2001, including no less than 31,000 civilians. On one side of this bloody conflict are the U.S. and other external actors who have intervened in the country, promising to defeat the Taliban and bring peace. After 17 years of the costly war on terror, the U.S. rhetoric has clearly shifted. It now seems that the U.S. is trying to put the ball in the Taliban’s court – the very same group that President George W. Bush had called “evil-doers” and had vowed to get rid of. The recently announced willingness of the Trump administration to talk directly with the Taliban indicates a shift in the U.S. policy. However, the Taliban does not seem to demand anything less than the entire withdrawal of foreign troops. Negotiating directly with the Taliban, but in the absence of the Afghan government and other local actors like major ethnic and religious minorities, seems to be another strategic mistake for a number of reasons. First, the battle in Afghanistan is fought between many actors. This means it can’t be solved through negotiations of just the U.S. and the Taliban. A record 92 percent of Afghans prefer the current government over the Taliban. Co-opting with the Taliban would be a serious challenge, as the group has announced they are willing to talk directly with the U.S. but also explicitly declared that they will not engage in peace talks with the Afghan government. The Taliban is despised by many local stakeholders. The Hazara ethnic group claims the Taliban is after their genocide while the Tajik and Uzbek ethnic groups equally despise the Taliban. For peace talks to be durable, every stakeholder of the Afghan conflict should be involved, including the country’s minorities. The absence of minorities is likely to deepen the ethnic division further and potentially kick off another sectarian war. Second, Taliban militia has overtly demonstrated their antagonism towards minorities in Afghanistan. 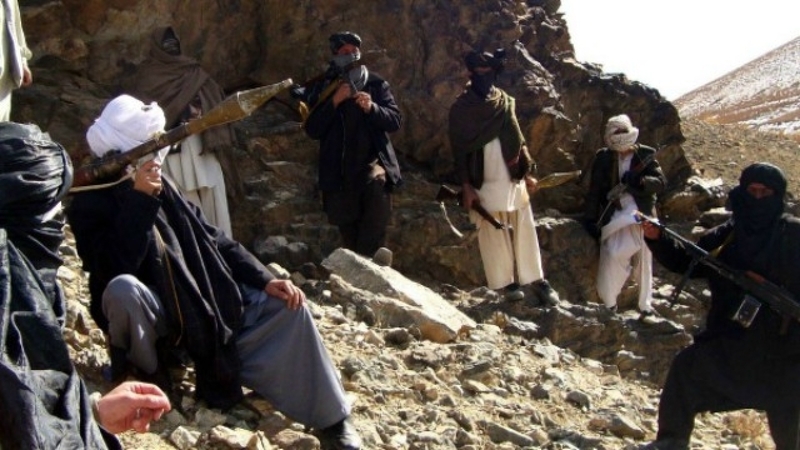 Just recently, the Taliban raided three locations in the central districts of Jaghuri, Urozgan, and Malistan. These three districts are mainly populated by the Hazara minority ethnic group who have been historically persecuted by the Taliban. The Taliban’s antagonism is not only with the Hazara ethnic minority, as other ethnic minorities also resent the Taliban. It is questionable if engaging in peace talks with an organization that is so openly against minorities will lead to durable peace. Finally, giving the militant Taliban a say in the so-called liberal Afghan government would only result in permanently institutionalizing their militant ideology. Other, more radical actors such as warlords still maintain public support and remain active in Afghanistan. Accepting the Taliban to be part of the government would send a clear message to these warlords and their supporters that bullets are more effective than ballots in Afghanistan. Meaningful peace talks can only happen if the Taliban accepts the current Afghan constitution. The Taliban is still widely feared, particularly by minorities and Afghan women. Thus, opening a venue of trust among all the stakeholders at the local level could only happen if the Taliban accepts the constitution as a guarantor to address the concerns of other stakeholders. The relations in Afghanistan are complicated and the Taliban is not the only local actor. Therefore, implementing a top-down approach in any peace-building effort in Afghanistan would be a serious mistake. Instead, a combination of top-down (U.S. support) and bottom-up approach through local level initiatives should be undertaken in tandem. 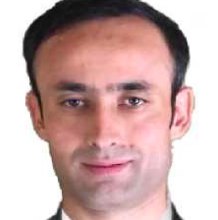 It is imperative that the United States and Afghan government must consider the dynamics at the local level including all affected ethnic and religious minorities if this protracted Afghan war has any hope of being resolved. The Afghan government and local stakeholders must take the lead in peace-talks to earn support, legitimacy, and trust at the local level.